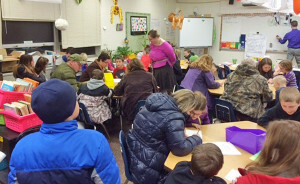 Tag Archive | "Parent Math Curriculum night"
On Thursday, February 5, the Beach staff in conjunction with the PTO sponsored a Parent Math Curriculum night. 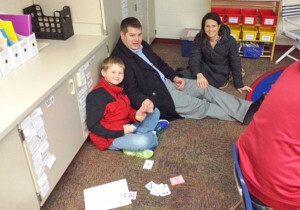 Parents were invited to bring their Beach student to come and hear about how Every Day Math is taught here at school. 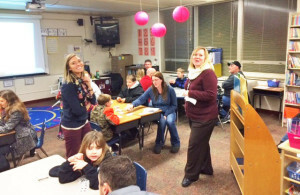 Parents had the chance to play math games with their child and to learn about some online resources they could use at home to support their child in math. The night ended with a pizza dinner served by the Beach PTO. We had 515 of our parents and students in attendance. Thank you to everyone!